To preface, this post will be significantly more technically orientated due to the vintage of the hardware and software and the problems it presents with today's available technology. A TL;DR will be included at the end for those who wish to avoid the details. Although rarely used nowadays thanks to Pro Tools and its automation, decreasing budgets, and time, our Martinsound Classic Flying Faders is rarely used. It must be a little over ten years since the last time we fired up the 1987 HP Vectra ES/12 that hosts the hardware and software to operate the Flying Faders. We did, however, turn on the computer last year to see how it was doing. The computer was having trouble booting into the Flying Faders software, but once it did we discovered that the old trackball, serial Logitech mouse had lost an a direction of movement rendering it inoperable. We were eventually able to source an exact replacement (an exact replacement was needed as drivers would have been required to use any other mouse). When we connected the new, used mouse and booted up the computer, we were able to operate the Flying Faders software. However, in the process of trying all of this, it revealed the possibility of the hard drive being on its last leg. Boots of the computer were unreliable and we decided to forgo even testing it anymore to prevent additional wear on the system. Subsequently, we looked into upgrading to Flying Faders II to be able to use a modern computer, a usb interface, and ability to use HUI protocol to interface with Pro Tools. Unfortunately, an upgrade would cost us $7,175 just for the interface, software, and adapters. This is the discounted price after we trade in the ISA Viper and DualPort cards. We would rather buy other equipment, e.g. microphones and outboard gear, then spend that much on a system that will most likely not get used a lot (considering the original price of the Flying Faders, the upgrade price is not terrible). So, we decided to replace the hard drive. But, we cannot just go to Best Buy or Amazon and purchase a new SATA hard drive to replace the drive in our Vectra. Our Vectra is using a 40MB Seagate MFM hard drive connected to a hard drive controller. SATA was not yet an established protocol and PATA was designed the year before our computer was released (later Vecrta models did use ESDI and PATA). We wish our computer utilized the PATA protocol as it would be much easier to replace. But, our computer uses an MFM hard drive and replacing it with an exact hard drive is hard as they were not designed to last this long and reliability is still the issue. Our research resulted in two options for emulation of the MFM hard drive: PDP-8 and DREM. It would appear that both options would work in our case; however, we will be opting to use the DREM as it also has the benefit of emulating FDDs (Floppy Disk Drives) which could be a nice feature as NOS floppy disks are quite expensive for the amount of space they offer—more on this later. Being able to emulate a FDD would allow us to save mixes on a virtually limitless amount of "floppies" and decrease load times. When we discovered this, we were happy as we could replace the failing hard drive and still use the computer, at least theoretically. However, we were never given any of the floppy disks pertaining to the computer and Flying Faders installation. Installing the drive would require configuring it in the computer which requires to boot from a floppy disk and installing the appropriate OS (MS-DOS 6.22 and Windows 3.1) and Flying Faders would require their appropriate floppy disks. We have none of it. Our first Neve V1 console had NECAM automation and we gave all the appropriate documentation and software to the new owners when we sold it. When we bought our current V1 from Middle Ear, we received everything but the appropriate floppy disks. Fortunately, HP Computer Museum has the computer's floppy disk's available to download. Unfortunately, they are compressed and encoded in the Teledisk format (.TD0), which is an old MS-DOS program used to copy floppy disks to other floppy disks or a hard drive. Writing the needed software would require a DOS computer with the Teledisk software. We never owned the Teledisk software; but, Dave Dunfield was kind of enough to find and upload the versions of Teledisk available to them. We still needed to be able to run the Teledisk software (which would require the above DOS computer), transfer the .TD0 files to the appropriate computer for conversion, and then write the conversion to a floppy disk. We did not want to add stress to our Vectra and did not want to spend money purchasing and shipping a heavy, old DOS machine. So, we tried emulation. It should also be noted that Dave also wrote a program, ImageDisk, to convert the .TD0 to .IMD for both storage and writing. As for emulation, we first tried DOSBox. We were unable to write to our purchased USB FDD when running Teledisk as it consistently thought the drive was a 5.25" FDD. So, we decided to run Dave's ImageDisk to convert the .TD0 to .IMD and then write to the floppy disk. Dave does mention in the README file that direct access to the FDD controller is needed and that running under a DOS only environment is the best option. As a result, we were able to convert the .TD0 to .IMD but were unable to write to the FDD yet alone generate successful runs with the FDD controller evaluation program Dave included. Also, it should be noted that we had NOS of Maxell MF2DD floppy disks that we were using. Only one out of the ten floppy disks was able to be formatted (using Windows Command Prompt running the following command: "Format a: /F:720" ) as all the others have gone bad. 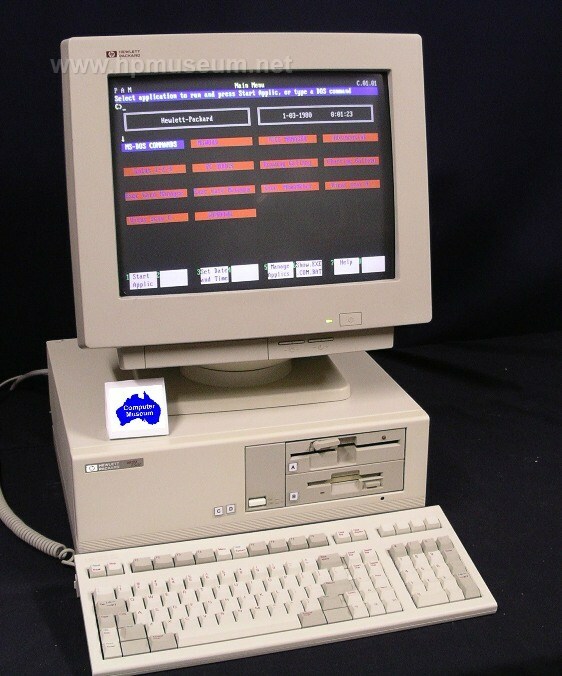 Next, we then tried virtually running MS-DOS 6.22 under Oracle's VM VirtualBox. We downloaded the appropriate installation images and successfully installed MS-DOS. We tried running Dave's ImageDisk but it would not fully load. After this, we ran Teledisk and attempted to write to our floppy disk. To our surprise, Teledisk was writing to floppy disk. When the writing was completed, we viewed the floppy disk in Windows to find that there was nothing on it. At this point, we thought we were done for and would need an old DOS machine. But, we tried one more thing. Since VirtualBox has the ability to emulate FDDs we decided to use this to our advantage. We downloaded a program called WinImage that allows for the creation, editing, and reading of image formats that are an exact copy of of physical disk, floppy included. Using WinImage, we generated a blank floppy image (.ima) that would have been the actual floppy disk that Teledisk would write to. Then, we selected the image containing both Teledisk and the .TD0 as A:\ and then the blank .ima file as B:\. When we ran Teledisk and selected the Copy File to Disk option, not only did the conversion take only a few seconds (down from the minutes it took to write to an actual floppy disk) but the .ima file that was the destination of the conversion actually contained data when viewed in WinImage. After this, we just copied the files from the .ima to the physical A:\ drive connected to the computer. We have yet to run the floppy in the Vectra, but it should work. But, we now have a means to generate the floppy disks that we should need if the situation ever arises. We still do not have the Flying Faders installation floppies nor the images, but we think we may be able to get this if the need arises. Nonetheless, once we acquire the DREM and setup it up we should only have to run xcopy with the appropriate options resulting in a cloned hard drive being emulated off of an SD card via DREM. TL;DR: Our HP Vectra ES/12 computer from 1987 with its failing MFM hard drive should, theoretically, be replaceable with DREM, a MFM HDD/FDD emulator.